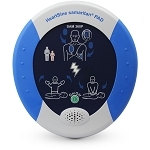 More than a simple AED, the HeartSine samaritan® PAD 450P with integrated CPR Rate Advisor provides real-time visible and audible feedback to the rescuer on the rate of CPR compressions during an SCA resuscitation. While some SCA victims benefit from the delivery of a shock, effective CPR with minimum interruption will maximize the chances of a positive outcome for virtually every SCA victim. 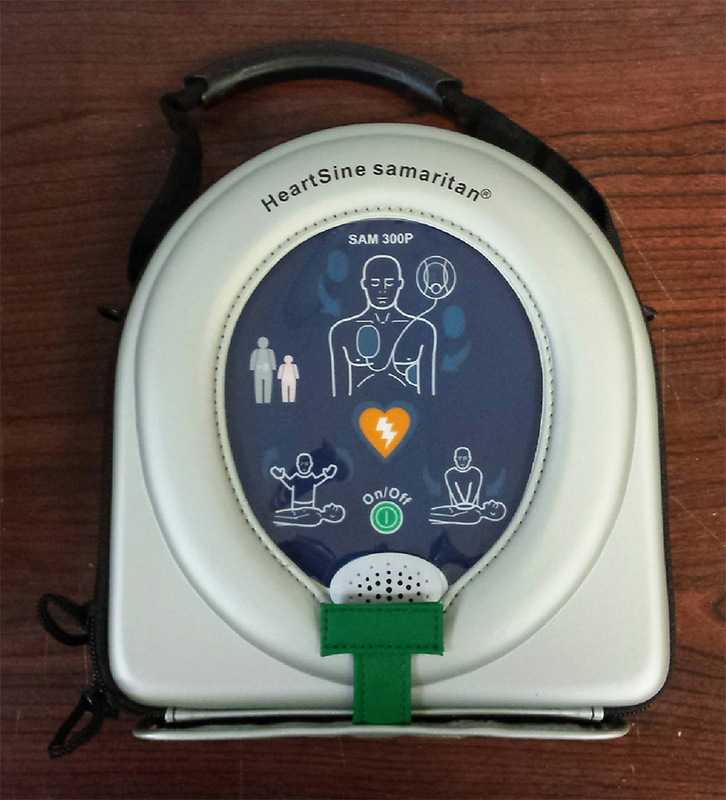 Using HeartSineÃ¯Â¿Â½s proprietary ICG-based technology, the SAM 450P with CPR Rate Advisor provides the rescuer with continuous real-time verbal prompts of Push faster, Push slower,Ã¯Â¿Â½ or Good speedÃ¯Â¿Â½ to help achieve the optimum rate of compressions as defined by the American Heart Association (AHA) guidelines for CPR. 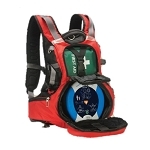 Similarly, the SAM 450P detects if CPR has stopped, and prompts the rescuer to Begin CPRÃ¯Â¿Â½ until CPR has resumed. ICG-Based Feedback. 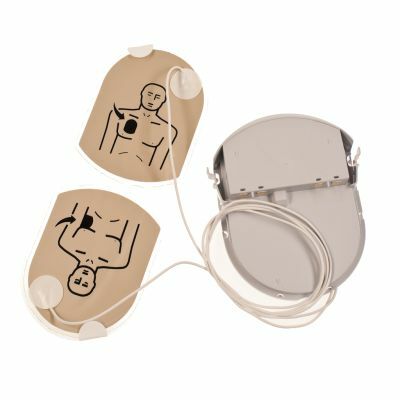 With its revolutionary technology, HeartSine's proprietary CPR Rate Advisor uses the SAM 450P via the defibrillator electrodes to determine the rate of CPR being applied, without any addition of accelerometers (or pucks) commonly used in other AED devices. Easy-to-Follow Visual and Verbal Guides. 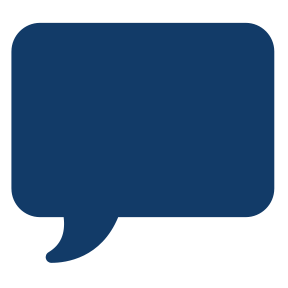 Easy-to-understand visual and voice prompts guide a user through the entire CPR process, providing specific feedback on the rate of compressions. Advanced technology. 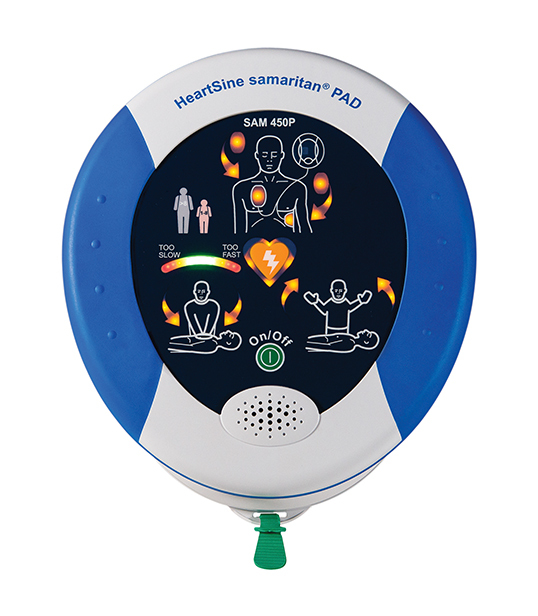 The SAM 450P utilizes proprietary electrode technology and patented SCOPE biphasic technology, an escalating and low-energy waveform that automatically adjusts for patient impedance differences, to assess rhythm and recommend defibrillation if necessary. Most compact design. 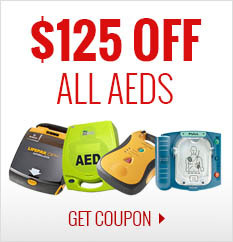 At 2.4 lbs and with a compact footprint, the SAM 450P is the most portable AED on the market. * Self-Compensating Output Pulse Envelope (SCOPE) technology automatically optimizes the waveform pulse envelope (amplitude, slope, and duration) for each individual patient. Two parts, one expiration date. 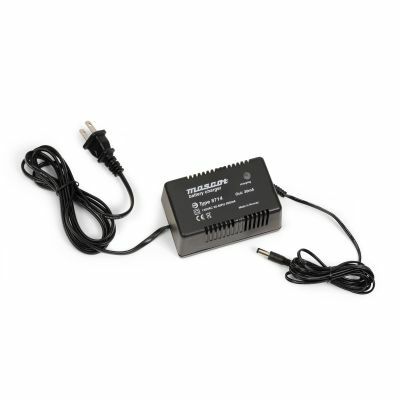 The Pad-Pak cartridge combines battery and electrode pads, with only one expiration date to monitor. Low cost of ownership. 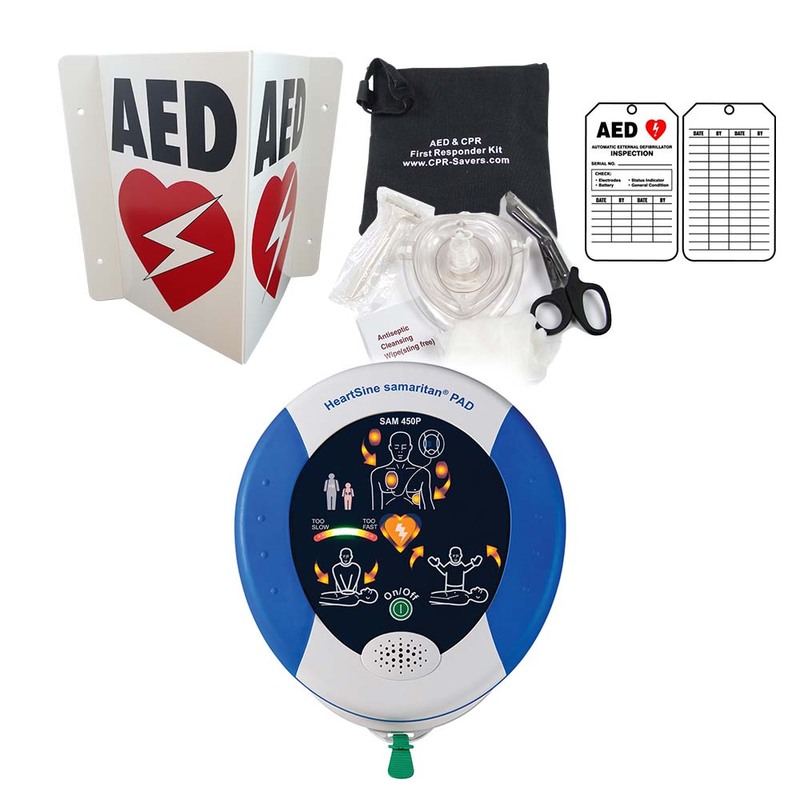 With a shelf life of four years from the date of manufacture, the Pad-Pak offers significant savings over other defibrillators that require separate battery and electrode replacements.